The 1U LCD Rack Console by StarTech.com is a 19" wide drawer designed for applications where cabinet space is at a premium. The RKCONS1708GB offers an 8 Port KVM module, has an eye-catching 17-inch active-matrix LCD monitor, full size 106-key keyboard, and a mouse touchpad. When the RKCONS1708GB is not in use, you can close the console like a laptop and slide it into the cabinet and out of your way. 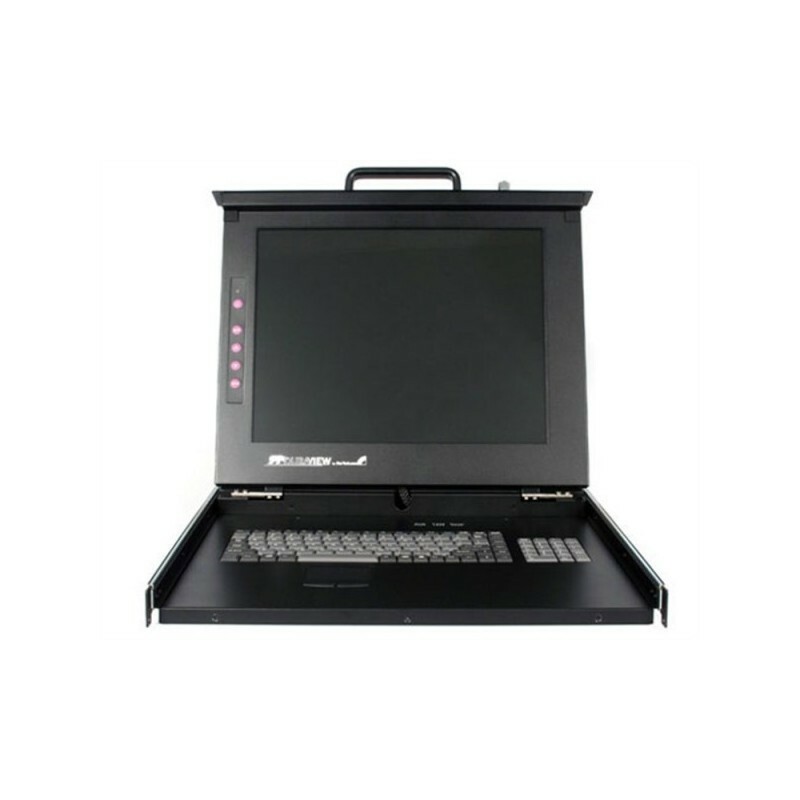 The LCD Rack Console is able to work with virtually any existing KVM switch and any standard rack or cabinet that is 30" or greater in depth. The product is capable of managing up to 64 servers through eight cascaded 8-port KVMs.